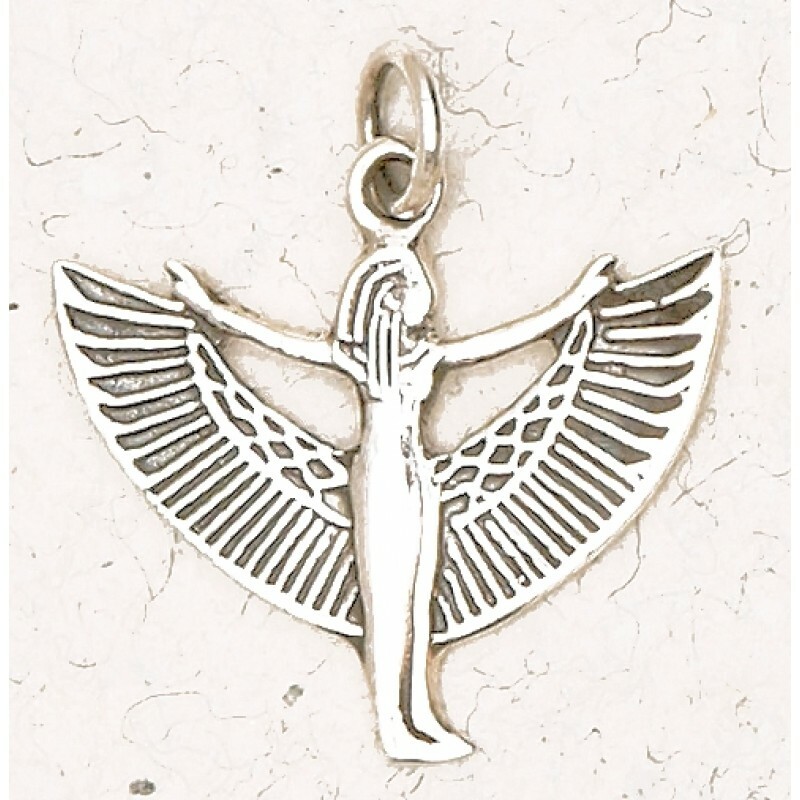 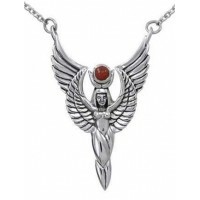 Stunning sterling silver pendant of the Egyptian Goddess Isis with wings open is ready for your favorite chain or neck cord. 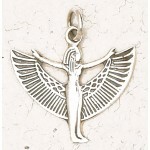 Beautifully made Isis pendant is about 1 inch wide with attached ring bail and lovely detail. 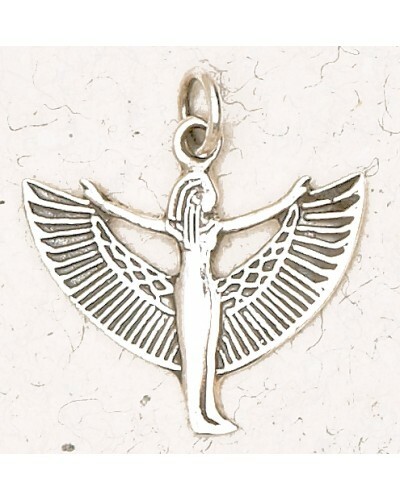 Item Number: NV-SSP-1533 | Approximate Size (Inches): 1.00 wide x 0.15 deep x 1.00 high | Approximate Shipping Weight: 0.50 lbs.